Plants vs Zombies 1.4.7 is a fun map where we have to kill as many zombies as possible before reaching the house. To start the game we have a button that when activated, start getting out zombies by the water stream leading into the house. Halfway find dispensers flower shaped that shoot arrows. For each dead zombie you’ll get a gold bar. If you want to collect more the gold ingots pause the game and go down the stairs, then change the ingots by TNT, place it in streams through a pressure plate. The zombies instantly get fried and you’ll get more ingots. 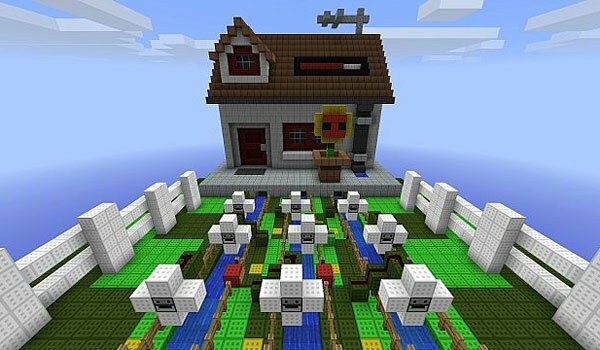 How to install Plants vs Zombies Map for Minecraft 1.4.7? Download Plants vs Zombies Map 1.4.7.